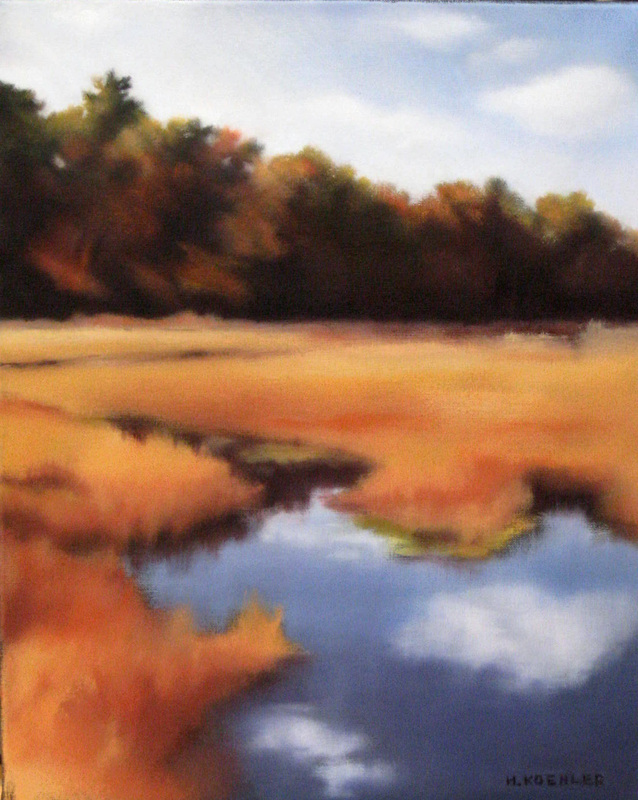 This first painting is a view of a cranberry bog in late fall. I often go walking here with our dog and enjoy watching the scene change with the seasons. Reflections in the bog pool made this a compelling view to paint. The wall of trees lay in shadow but offered glimpses of the light behind them. My reference is a small 4″ x 6″ photo which provides just enough information but allows a broader interpretation of the image. this “new” technique of yours lends itself particularly well to wetlands. This is my favorite. I almost feel like I’m there. Thanks Rob, Always happy to share impressions of this beautiful place.